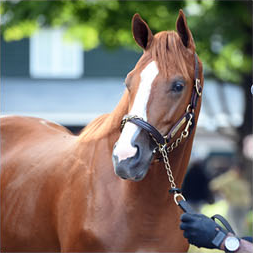 Centennial is one of just two racing partnerships that has won a Triple Crown race ('93 Belmont Stakes -- Colonial Affair), Eclipse Award ('92 Champion Sprinter -- Rubiano), and a million dollar race ('14 Wood Memorial - Wicked Strong) with different horses. Colonial Affair's victory in the 1993 Belmont Stakes with Julie Krone remains the only win by a female jockey in the Triple Crown. 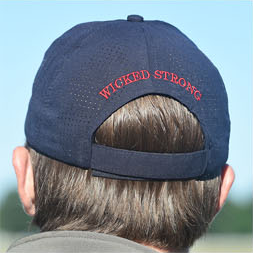 With just shy of $2 million in career earnings, Wicked Strong retired as the tenth leading money earner of his exceptional crop. Did you know Rubiano won the Eclipse Award for Champion Sprinter in 1992? Over three-quarters of our partners choose to reinvest with us after their first Centennial Farms experience. Centennial Farms has placed a remarkable 13 stallions at premier farms for their breeding careers. Corinthian won the G2-Gulfstream Park Handicap, G1-Metropolitan Handicap and inaugural $1,000,000 Breeders' Cup Dirt Mile in 2007. He was a finalist for Eclipse Champion as Older Colt or Gelding along with Lawyer Ron and Invasor. 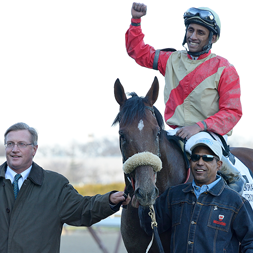 Offspring of Centennial Farms-raced stallions include millionaires on multiple continents. Among them are champion Spook Express, Tout Charmant, King Kreesa, and Burning Roma. The legacy of Centennial Farms standout Rubiano is alive and well. His daughter, G1-placed Starry Dreamer, is the dam of worldwide stallion sensation War Front.